I have had my Kirby G5 upright vacuum cleaner since the 90’s. I had never used the shampooer in my current home (7 years old), which has only one carpeted room. The carpet is white and I have two large dogs. We have been planning to replace the carpet after one of my dogs was sick all over it a month ago (not just vomit). Once I cleaned the stains as best I could, we had “clean spots”. Yesterday I decided it couldn’t hurt to try and use the Kirby G5 shampooer to clean it. One hour later, my carpet looks new. Everything is out of the fibers and the shampoo smells clean not perfumed. This morning I vacuumed it and I am amazed, it did a better job than both the DryChem guys and the professional steam cleaning we had done. A 12 year old vacuum, never serviced, and shampoo from 7 years ago, impressed the daylights out of me. 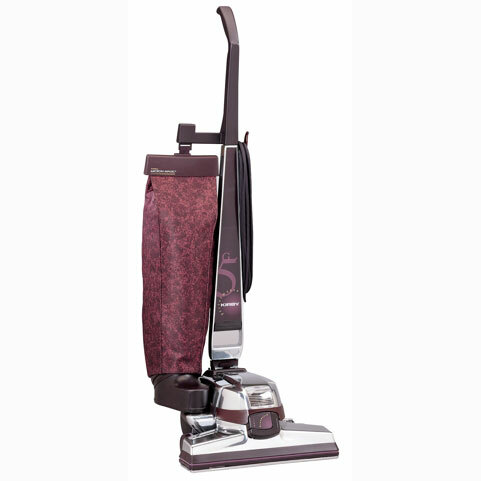 I recommend the Kirby G5 upright vacuum, 10 stars. We own a two story house and I use it upstairs and down, it is a little heavy but even on the wood floors it works better than the canister we purchased for the upstairs. We vacuum the mattresses with it, as well as the furniture, we use it to blow up the air mattress, pool floats and clean the SUV with it. I think I will be using the sofa cleaning attachments on the old sofa. We spent $500.00 on it new. They are definitely negotiable. I have owned my Kirby G5 for over 10 years. I bought it new and paid $700.00 for the vac, accessories and carpet shampooer system. I love the cleaning power and versatility. I have 4 kids, 1 dog, 2 cats, 1 bird and 1 squirrel in my house. We can create some filth and the Kirby does a great job of removing it. My Kirby has been abused to the point that it is time to have it refurbished. I am wondering if anyone has any feedback on Kirby’s refurbish program. I would like to know how they charge. I have found that I can get replacement bags, rollers etc. on the internet pretty cheap. Bought my Kirby G5 vacuum cleaner back in 1996 for $800 to include all the accessories and shampooer. I’ve used it extensively from normal vacuuming to cleaning up construction debris without a problem. I replace the belt each year and I am on my 2nd brush roller. I replaced the fan assembly for less than $20 and an hour of my time. The Kirby G5 machine is built like a tank and WILL go the distance. I purchased my Kirby G5 vacuum cleaner a few months back, and i’ve been very happy with it. I had owned a Heritage II before that which I sold for the G5. I have almost every attachment for it except for the turbo accessory. It works great, and I use it often. I’d recommend a Kirby to anyone looking for a good vacuum. Rather you buy it new, or used you’ll get many years out of it. I have had the Kirby G5 for over 13 years, after all this time it is still running better than any other machine I have ever used. The bags are HUGE and I rarely have to change it out. The machine is very durable and has withstood over a decade of bumps. There are machines that are easier to change from floors to attachments, but no vacuum is as versatile as the Kirby. The Kirby is rather heavy but the tech-drive power assist provides almost all of the force necessary to push it back and forth across the carpet. I would definitely recommend the Kirby brand.